I had been eyeing off these buffins since last Easter, when Georgia first released the recipe. Back then I didn’t know what spelt flour was, which probably put me off. But now I use it all the time! 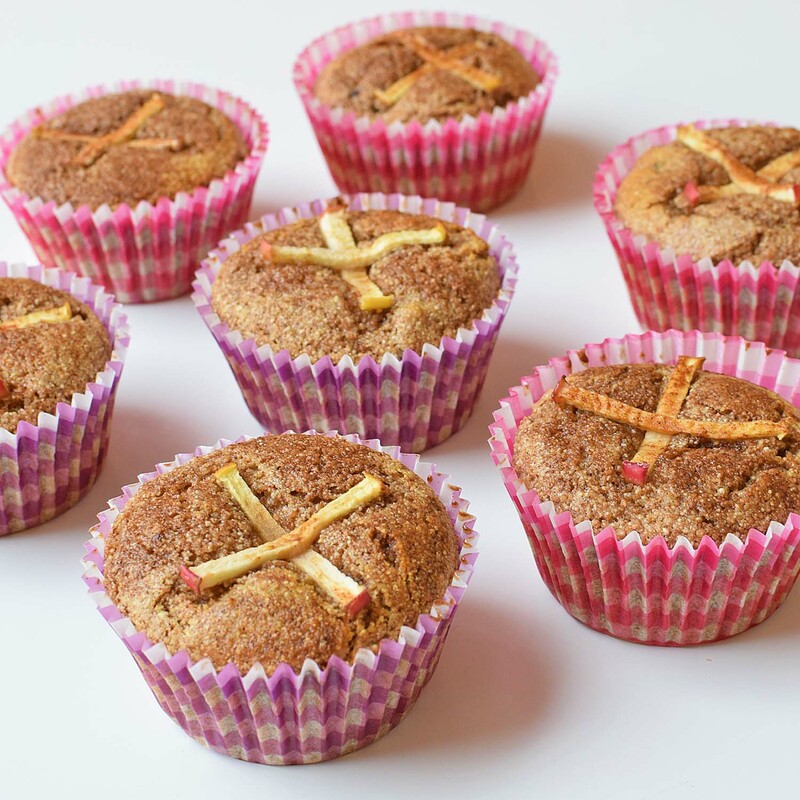 These buffins have all the flavour of a hot cross muffin, without the sugar and artificial ingredients. I used rice malt syrup as my sweetener of choice, and added a small handful of dried cranberries instead of the recommended half cup of sultanas. They got a big thumbs up from the boys. Georgia does provide instructions on how to make a cross using flour and water, but I strongly recommend using her alternative idea: slices of apple. It’s much easier, less fussy and the apple is tastier. I let the muffins cook in the oven for 5 minutes (until they had started to rise and find their ‘shape’, but were still soft) before I took them out to add the crosses, gently pressing them into the tops of the muffins, before returning them to cook for the final ten minutes. Get the recipe from Well Nourished here. We held his birthday party at an indoor play-centre (chaos!) last weekend, and he certainly overindulged on lollies, fairy bread and ice-cream cake. So on his actual birthday, I made the rich, fudgey, flourless berry chocolate cake from I Quit Sugar. The cake is from the new IQS Chocolate eBook, but this particular recipe is also available for free on the website. It was super indulgent and delicious, especially served with whipped cream. 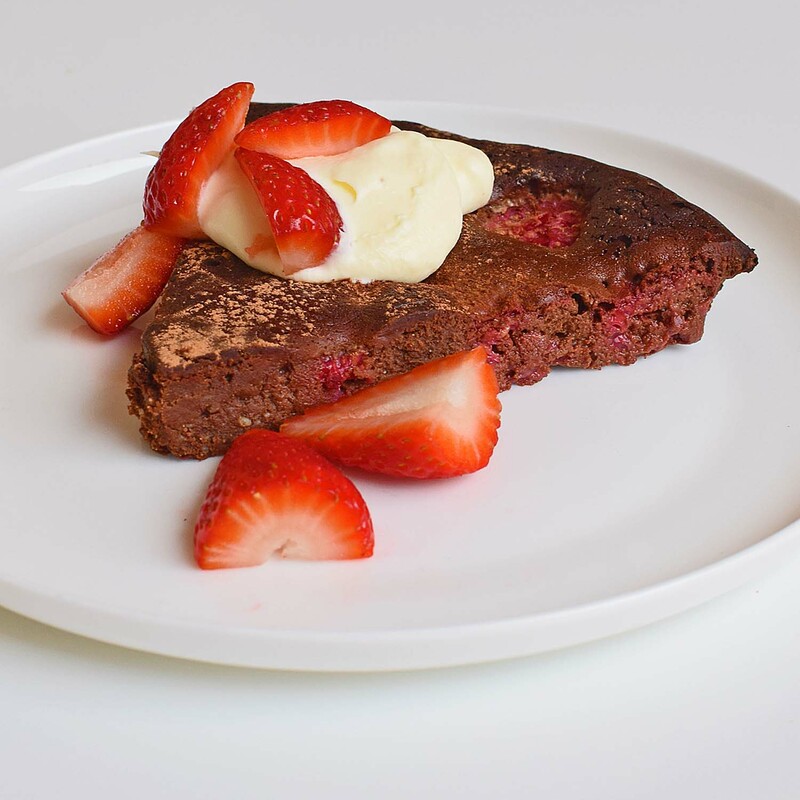 Get the recipe for the IQS flourless berry chocolate cake here.